The road to Pin Valley is filled with thrilling scenery that will not allow you to take the eyes off your vehicle’s window. 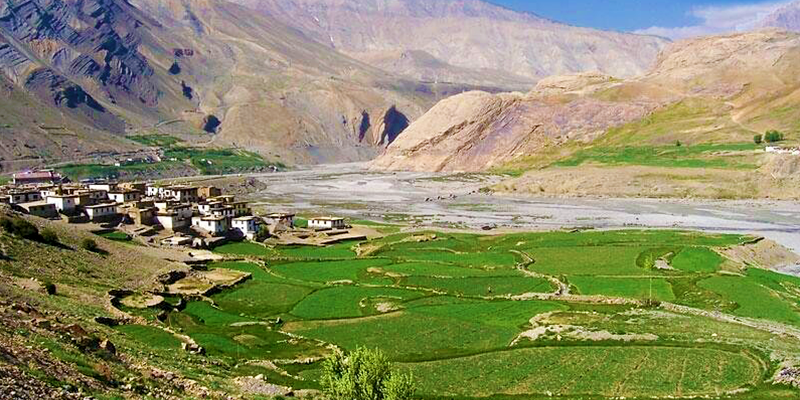 Spiti is regarded as one of the greenest regions in Himachal Pradesh. As you approach the district, the landscape shifts from rocky desert terrain into patches of green vegetation. At times you can see both these aspects merge together, giving you some memorable photographic moments. 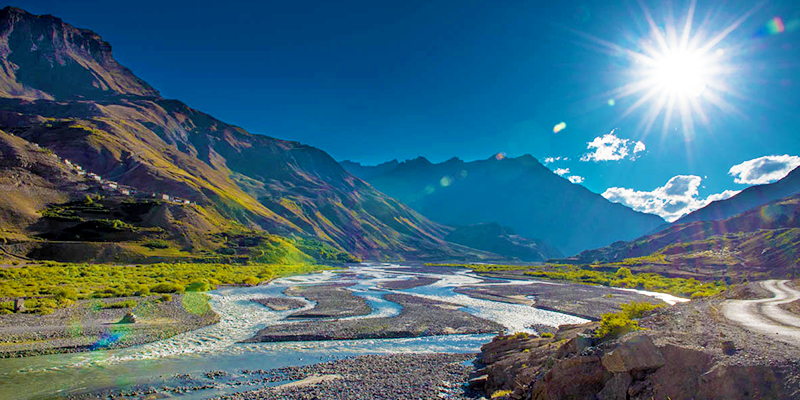 As you near the Pin Valley, the first sight of the magnificent Pin River will make you fall in love with this region instantly. The Pin River will accompany you until the culmination of your journey. As you travel to the Pin Valley, along the banks of Pin River, the first notable village you reach is Sagnam. The chilling breeze, breathtaking landscapes and the warmth of the natives will really grip your mind upon arrival. Once you have seen enough of beautiful Sagnam, travel for another 16 KM till you reach another village known as Mud. Mud is not only picturesque; it is also the last inhabited village on the Indian side of the Indo-Tibet border. The international border is very close to this village. 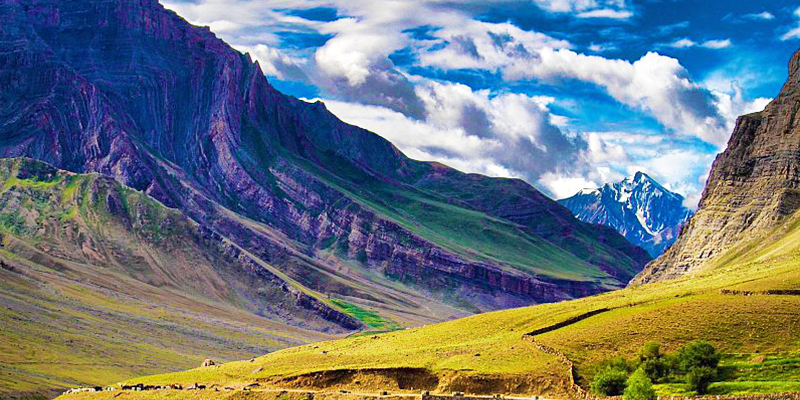 While you are at the village, enjoy the color changing landscapes and hill tops of the Pin Valley. This valley is also famous for its dry alpine and small sized Juniper scrubs. 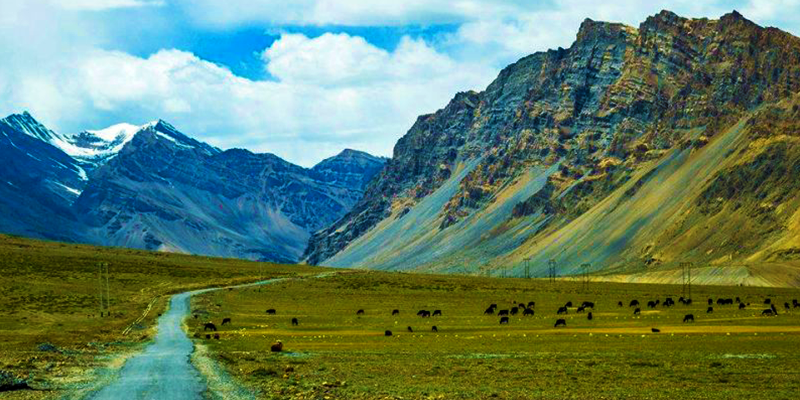 Pin Valley National Park is basically situated in a cold desert, adjoining the Great Himalayan National Park (GHNP) on one side and the Rupi Bhabha sanctuary on the other. Declared as National Park in 1987, it spreads over an area of approx 9700 SQ KM. The park has many snow-capped, unexplored high reaches and slopes, and it forms a natural habitat for the rare animal and bird species including Tibetan Gazzle, Woolley Hare, and if you are lucky enough, you may even spot snow leopards. 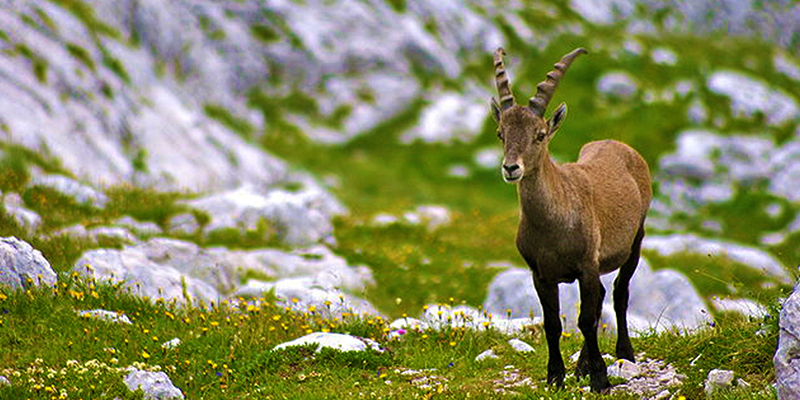 Ibex, Himalayan marmot, blue rock pigeon, snow pigeon and Himalayan brown bear are some of the other rare species of animals and birds that you can witness in the park. 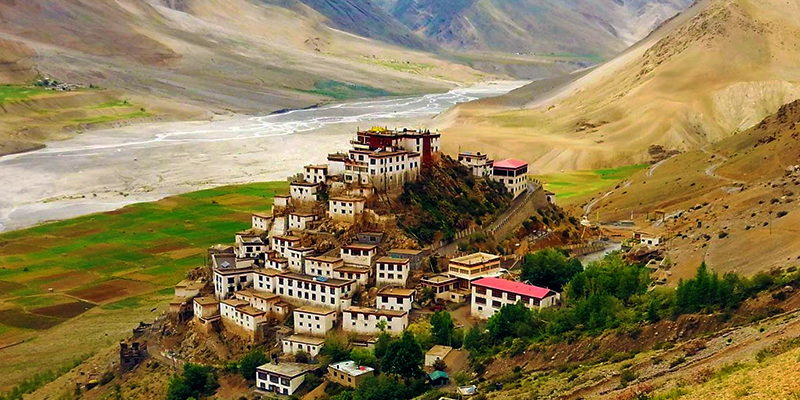 Situated at an altitude of 3870 M, between Kaza and Tabo, this is a 1000-year-old Tibetan monastery. 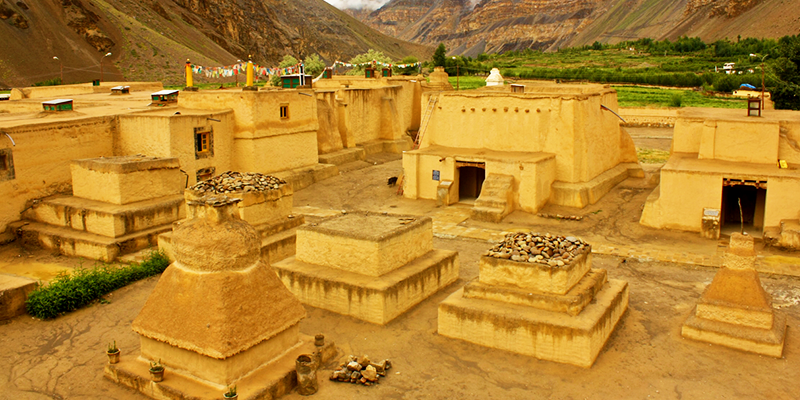 The Dhankar Monastery is a typical example of fort monastery. The monastery bears architectural influences from Central Tibet. Windows of the Gompa offer mesmerizing views of the valley. Many herbs are grown around the monastery which is famed to cure heart and lung ailments. 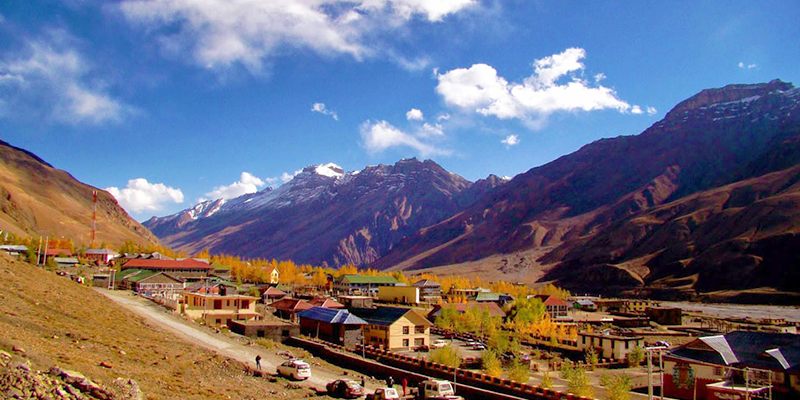 Located alongside the Spiti River at an altitude of 3,650 M, Kaza is the largest township and commercial center of Spiti region. Overlooked by the mighty mountain ridges on all sides Kaza town serves as the base camp for many trekking to higher altitudes. 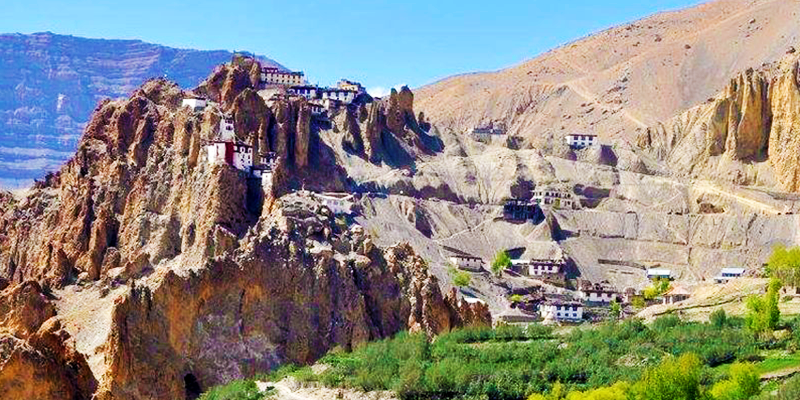 Some of the popular sightseeing spots around this beautiful city include Sakya Tangyud Monastery, Key Gompa, Kibber village, Gette Village, Langza village (famous for its marine fossils) and the Losar village.